What does it take to be a superhero? i.e. the commitment the will power to do the impossibles and some powers for doing so.Bollywood lag behind Hollywood in the prospect of superheroes we don’t have Superman, Spider man or even the Antman. But we have heroes who are the real hero on-screen and off-screen too. It takes a lot of strength for such doings.So here are few of the stories Bollywood celebrities who are real life heroes. Nana Patekar is a legend in Bollywood, and it takes a lot of doing to act so exquisitely. He leaves an everlasting impression through his acting and has a spell bounding effect. The thing that separates him from others is his sole dedication to help the needy.He financially supported the widows of the farmers in Maharashtra and is always on his toe for development projects for farmers. Farhan Akhtar, the son of great lyricist and screenwriter, has inherited the same from his father.Once in the shooting of Dil Dhadkane Do this Bollywood actor found his hair dresser struggling with the strong tide without wasting anytime he rescued her. Akshay Kumar recently has done so much of patriotic acting that some times we can’t figure out that he is acting.Lately, on 9th April he launched an app called Bharat Ke Veer or India’s Bravehearts, for helping the families of Central Armed Police Force and Central Para Military Forces. Throughout his acting, he always has made the statement, but with this, he made us proud. 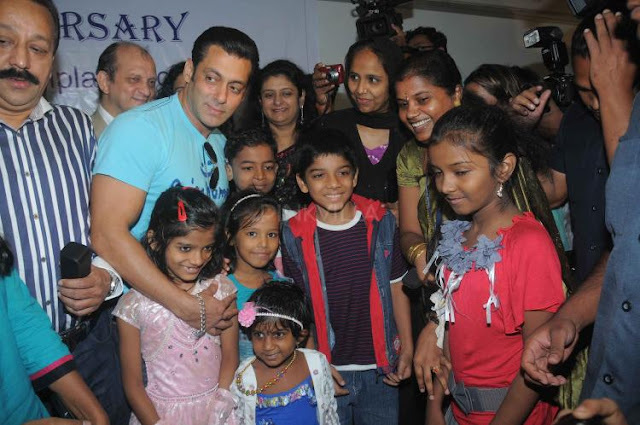 Salman Khan, the controversy king, has always made it to front pages either through his blockbuster movies or his doings.But apart from the controversies that he always has helped the needy.His foundation Being Human has been setup with a motto to help the underprivileged kids. Mr. Perfectionist has always been a step further for the aid of others. Through his show “Satyamev Jayate” he made us aware of the social evil and equipped us with the knowledge to fight against it.He has always been the voice of the ordinary, and his steps reflect it.